Good morning! 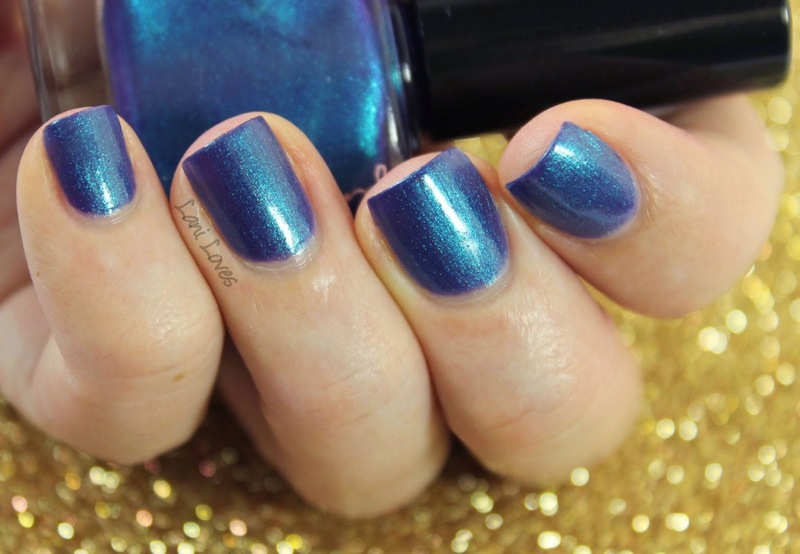 I'm super excited to share with you swatches and a review of the complete January collection from Femme Fatale Cosmetics. This is a set of seven colours which is available for presale today through to 10PM AEST on the 12th of January on the Femme Fatale website. 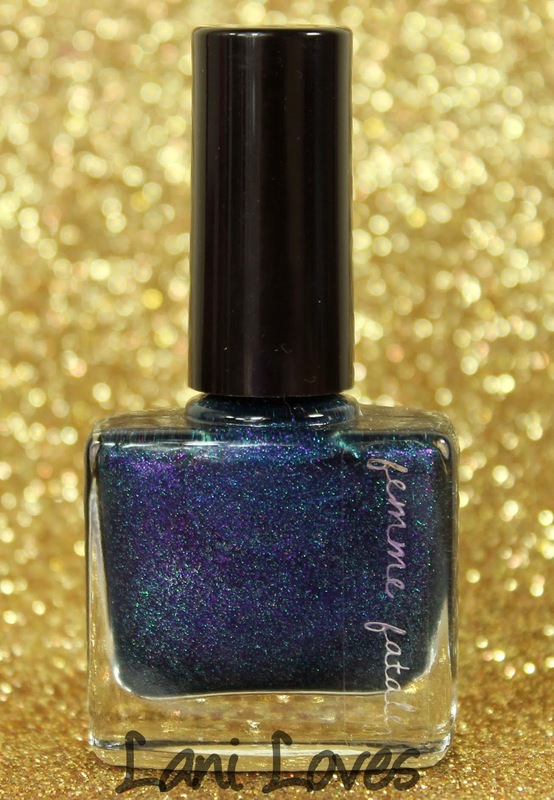 The range should also be available shortly afterwards at Femme Fatale stockists Mei Mei's Signatures, Rainbow Connection UK and Color4Nails. Sophie has also hinted that some of these colours may pop back sporadically throughout the year but there are no guarantees, so if you love any of them, make sure to pick them up sooner rather than later. You may notice that these are housed in Femme Fatale's new bottles, which are now 9ml (previously 12ml) and have a new, lower price of $8.50AUD (or $9.35 including GST for Australians due to tax). I quite like the new bottles, they are very chic, although the label is hard to get in the picture in my chosen hand poses :D They do come with boxes, but a printing error meant that these press samples did not have them. I will certainly show you the boxes in the near future, or if you order during the pre-sale, you could show me! Alright, I think that's all the essential information - ready to see some swatches? 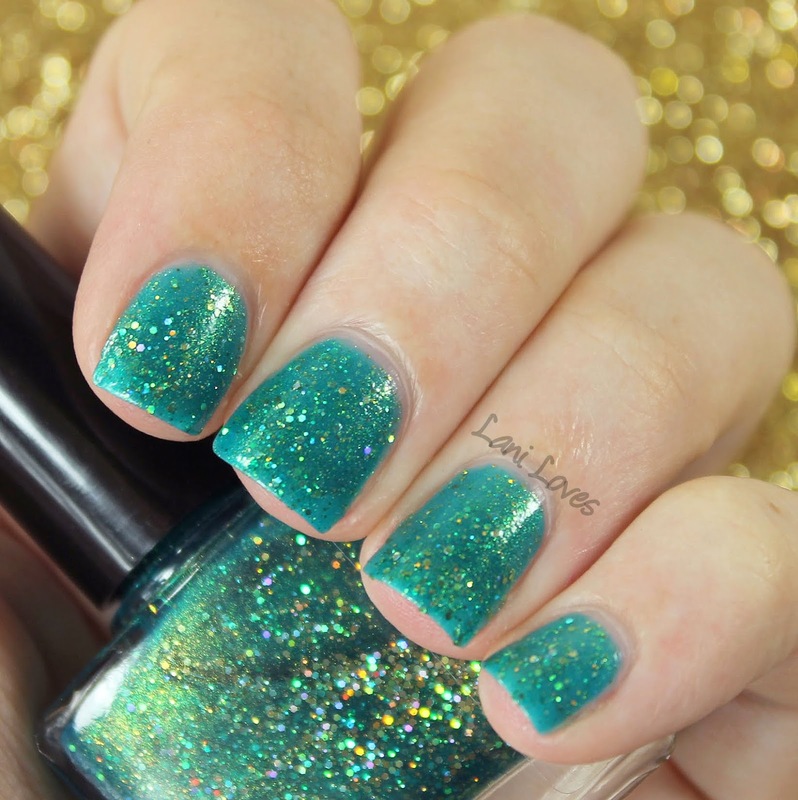 This is a complex mix of glitter and shimmer in a deep teal jelly base. All Sanity is Lost dried with a bit of texture but adding topcoat would take care of that quickly. I used three coats which left the barest hint of nail line; layering it over a similarly coloured base would put paid to that if you can't stand VNL! Despite how packed with glitter it is, All Sanity is Lost applied smoothly with no dabbing required. This intense magenta-orchid is so saturated that my camera freaked out something awful! 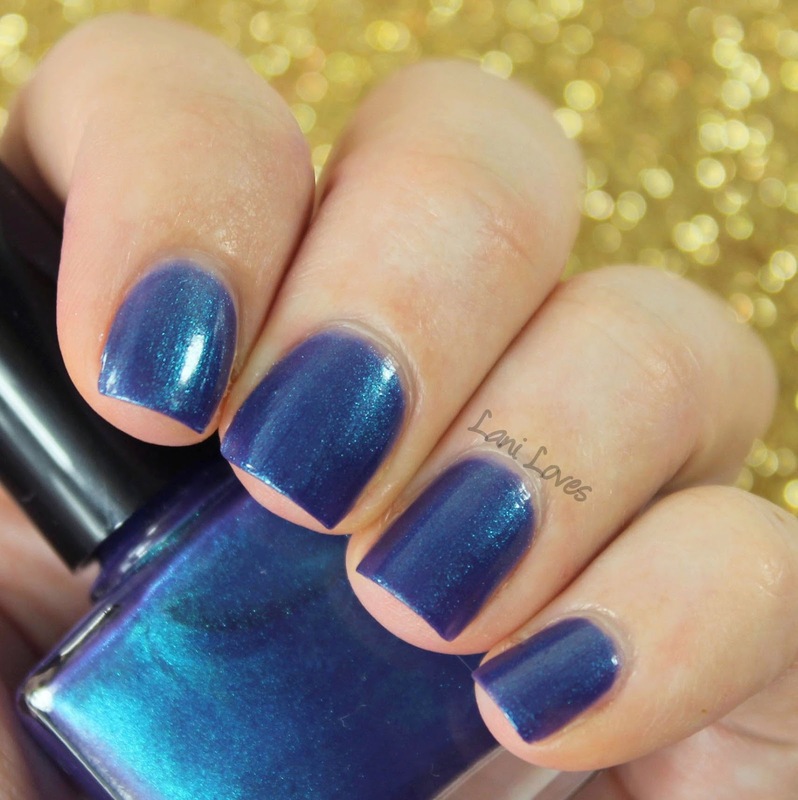 Touch of Madness was the most opaque polish in the collection, building easily in two coats. It dried with some slight texture, so I added top coat to make it lovely and shiny! I really like this one. 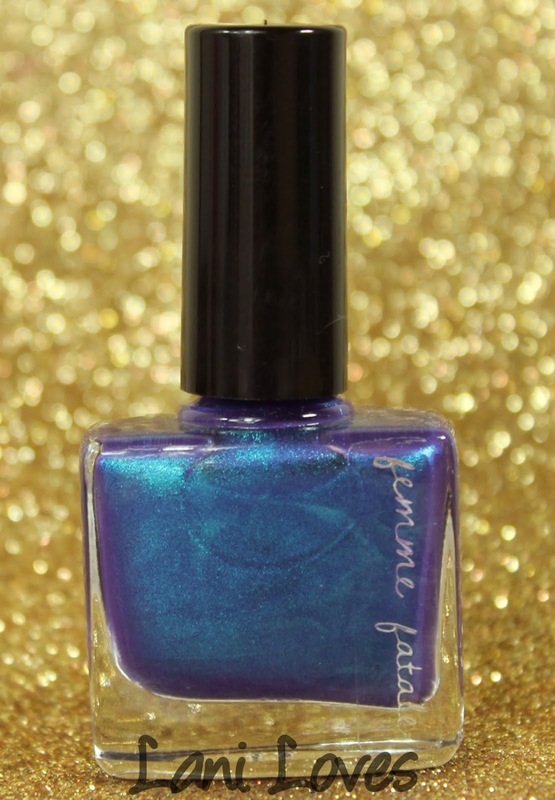 Another beautiful shade, Brain Link is a cheerful dark pink filled with blue and violet sparks. 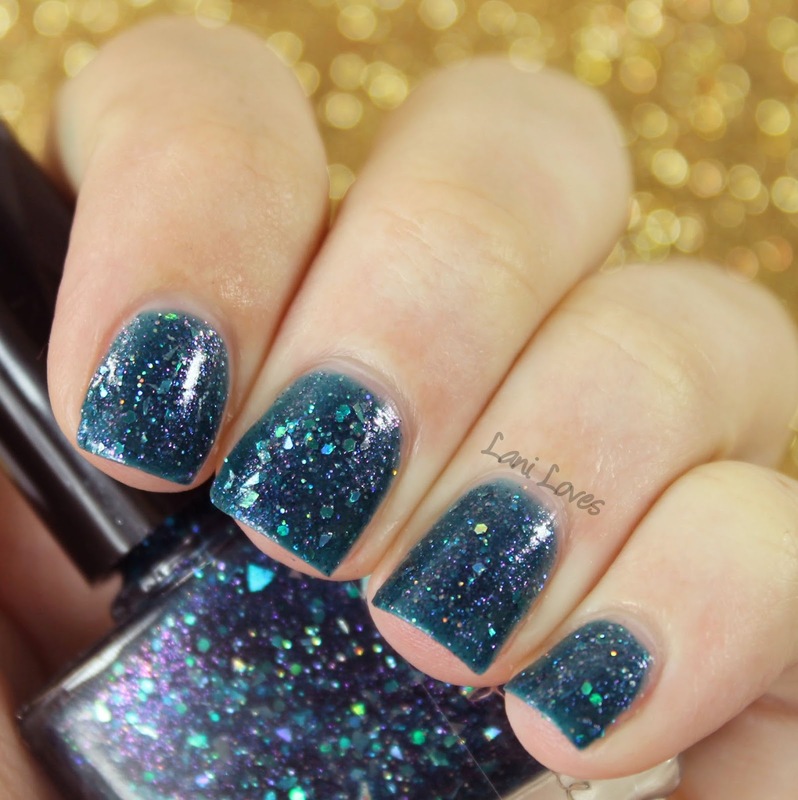 It reminds me of OPI I'm All Ears and Butter London Disco Biscuit - I must do a comparison! I love the contrast of the sparkles. This one built up nicely in three coats and as it dried with a little grit, I added top coat. Under the Waters is the kind of duochrome I can get into, it dries with minimal brushstrokes and has a visible colour shift that you don't need to contort your hands into bizarre poses to see. 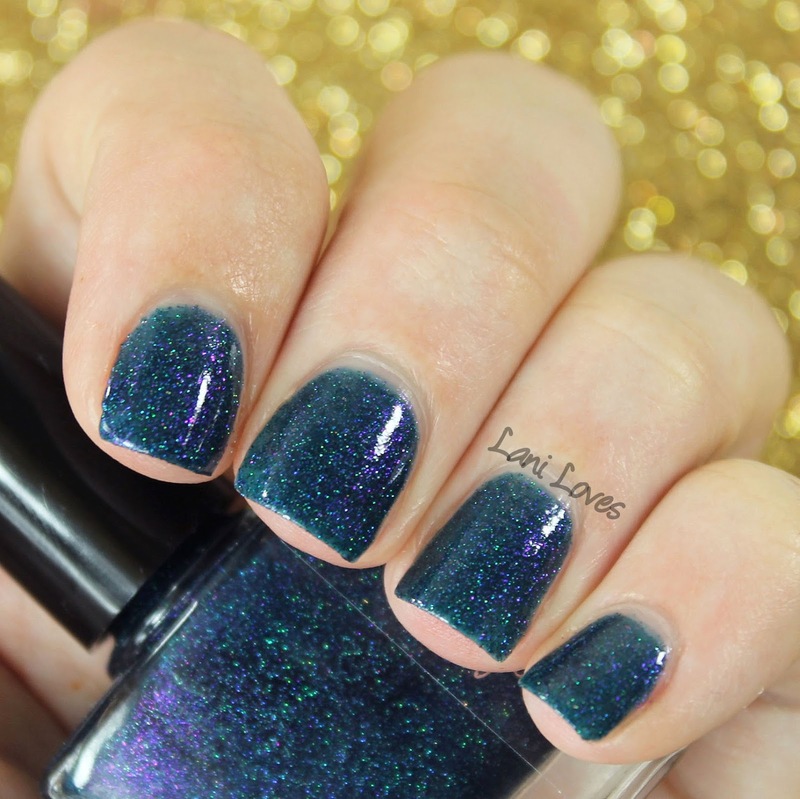 I di find it a little sheer and neede three coats for full opacity. 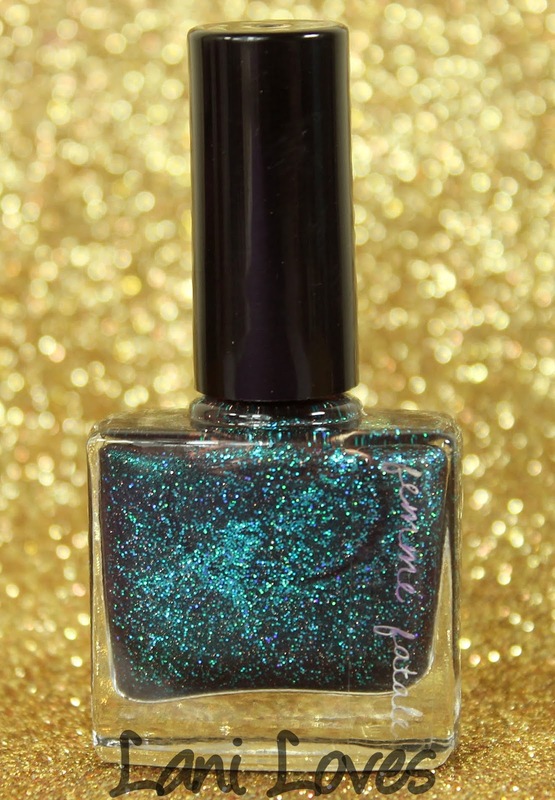 In His House He Waits Dreaming is a really interesting polish; in the bottle you might imagine it to be a teal shimmer but once applied you'll see that the warm chocolate base sets it apart from other polishes. When I saw the brown base I really wasn't sure whether I'd like it or not but the contrast is just stunning. 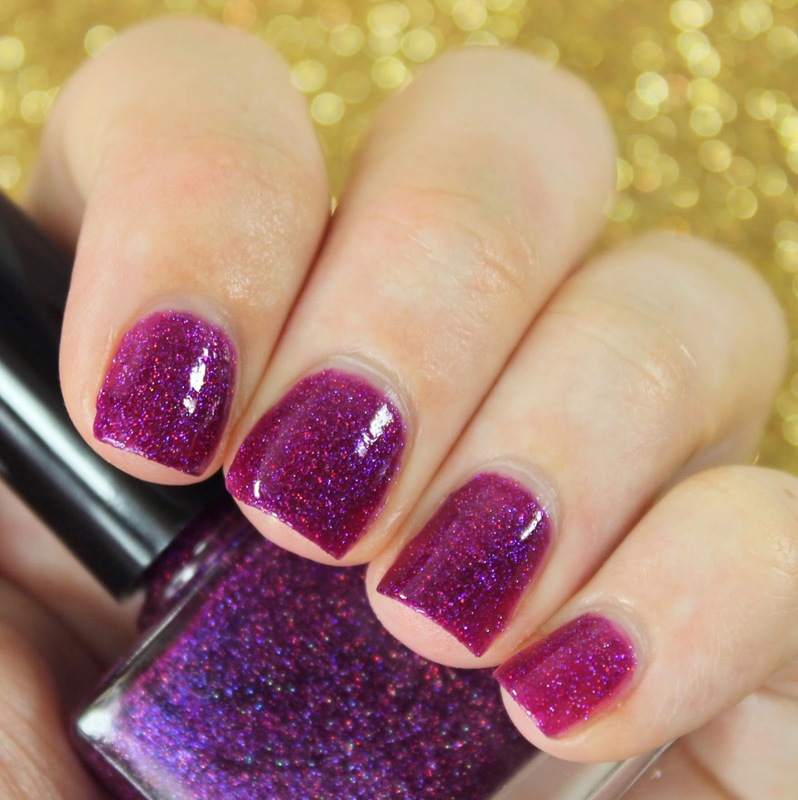 It built up easily in three coats and I added topcoat for a bit more shine. This is another one with a strong contrast going on. Alone in the Darkness has colour shifting purple to blue shimmer in a murky teal base. Wearing it is like rolling a peacock feather between your fingers to watch the different colours catch the light. It built up beautifully in three coats (the VNL you can see in some of the pictures really wasn't visible in person), again a little gritty, so topcoat was added. I've saved my favourite for last! 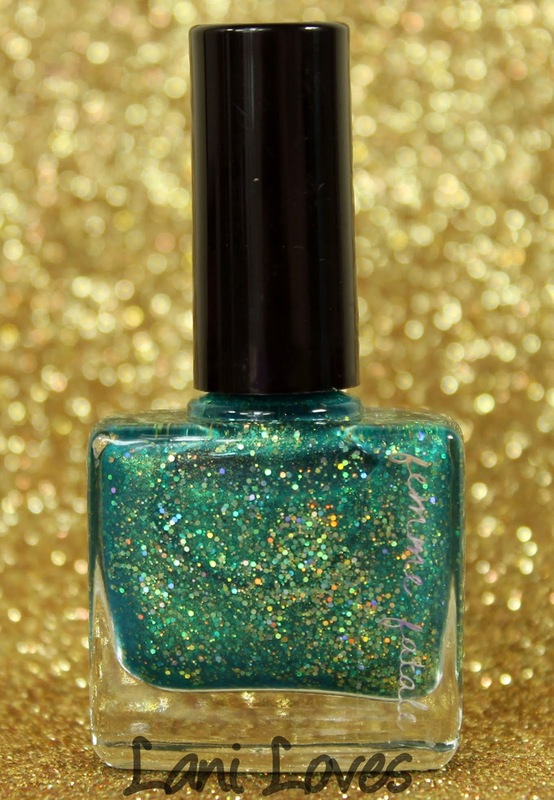 Stand in the Clouds is an aqua green filled with golden and green shimmer and glitter which make it look more green at times. There's so much going on in here and yet it builds to near opacity readily and doesn't dry too gritty. I quite liked how it looked without topcoat so I left it. If you're a green lover like me, this would absolutely be my pick from the collection! 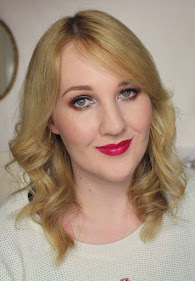 I hope you enjoyed these swatches! Will you be getting anything in the presale? 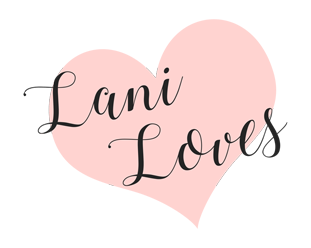 OMG Lani, these are gorgeous! 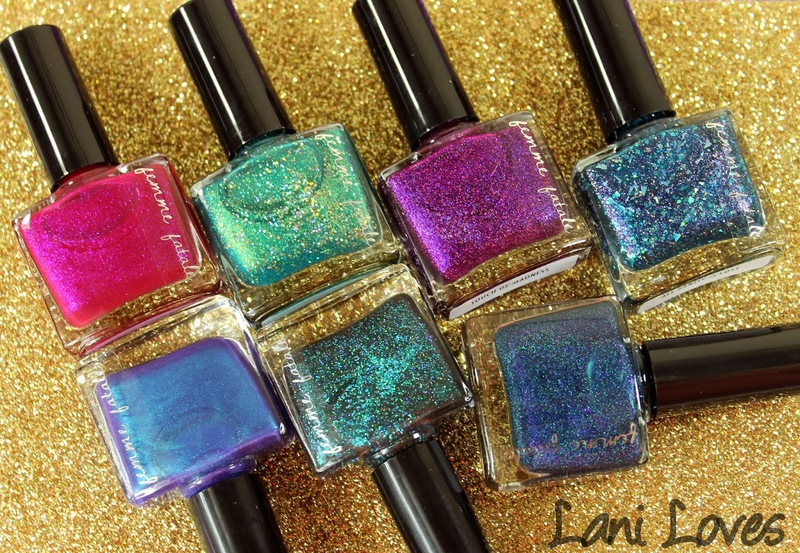 :) Seriously can't buy this time but will keep their polishes in mind when I'm able, I think its great that with the smaller bottles they lowererd their prices too - many companies would have simply pocketed the difference for themselves. 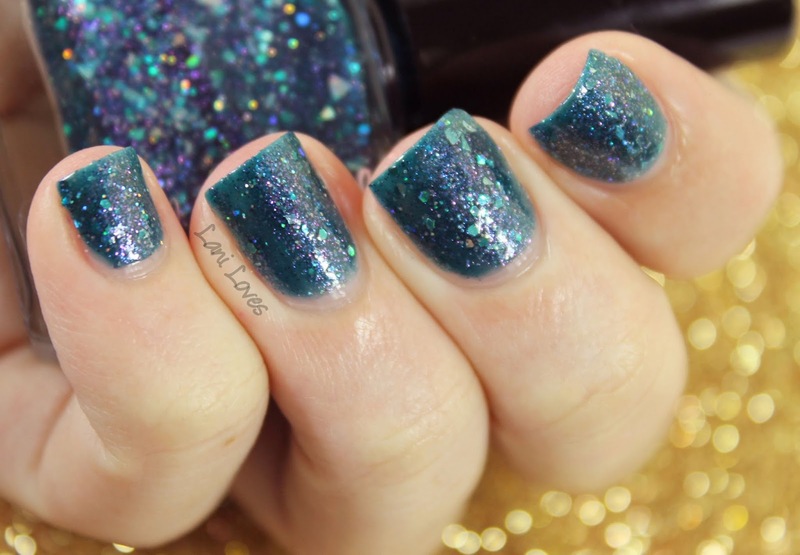 That first one reminded me of the blue Mariah Carey OPI Liquid Sand actually, think they look quite similar. These are so pretty and sparkly!! You always find the best polishes. Thanks!! I agree, I really like that they lowered the price! I don't own that one anymore but I think the Femme Fatale is a lot more complex. Both lovely shades!